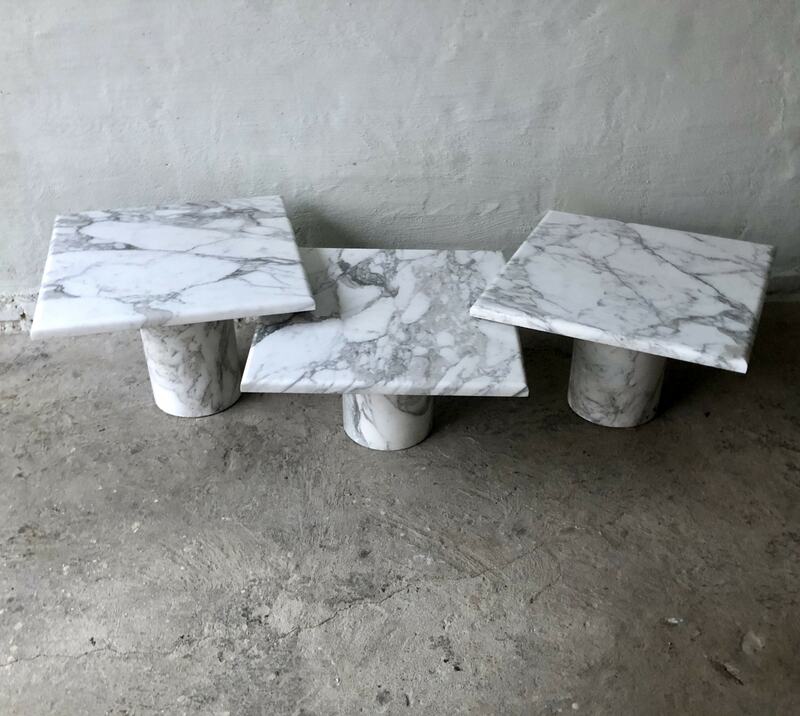 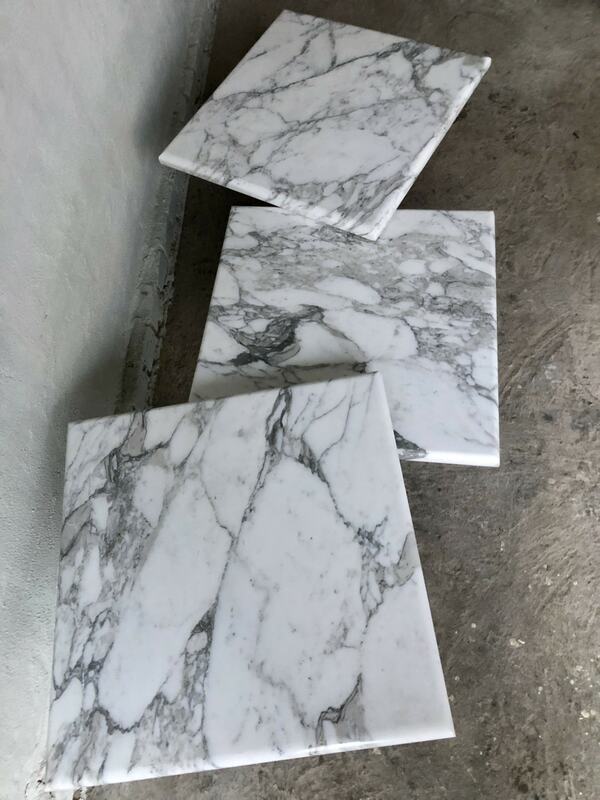 Stunning and heavy trio of marble side tables. 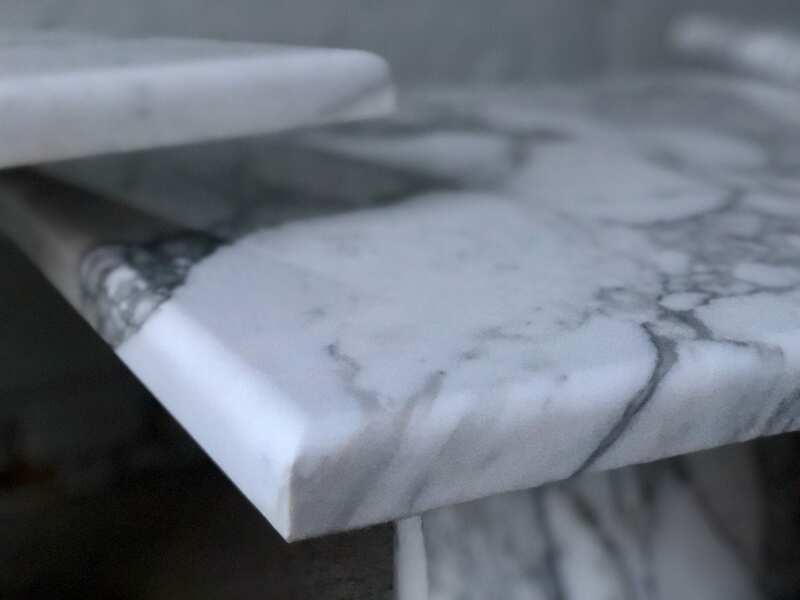 Completely made of solid marble. 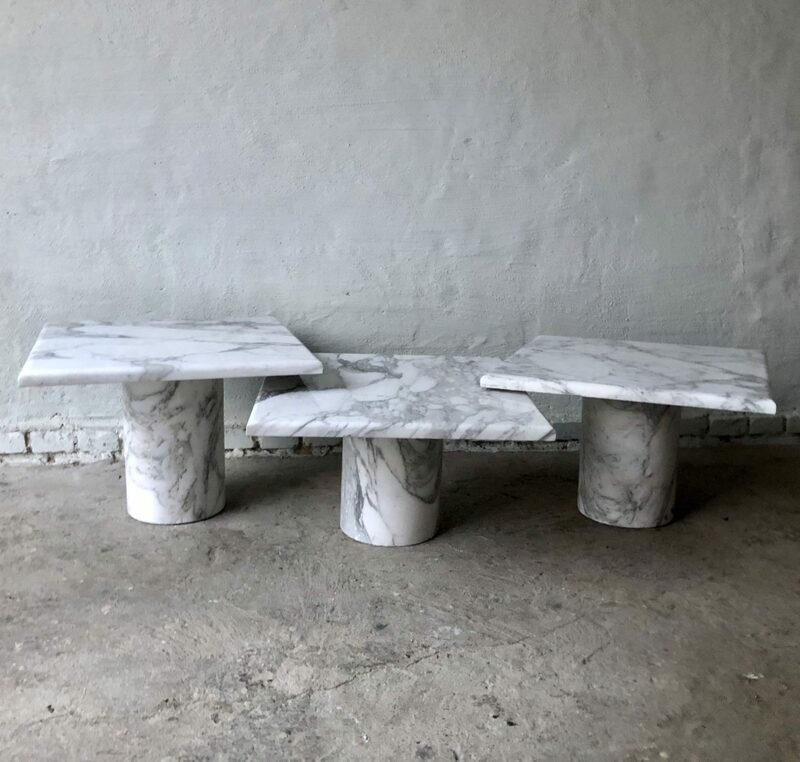 Foot and top are detachable.